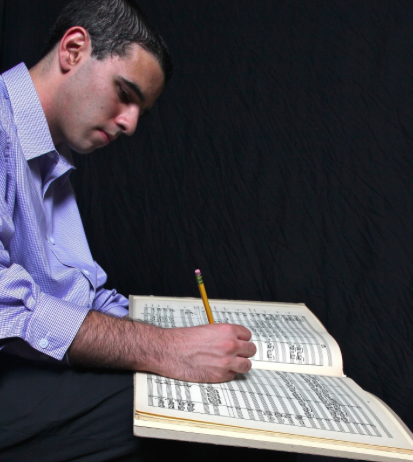 Originally from Newton, Massachusetts, Bijan Olia once dreamt of tickling the ivories at Boston’s Symphony Hall. Through hours of scales and lack of sunlight in practice rooms, Bijan turned to composing and thus a lifelong passion was born. His love of storytelling brought him to composing for visual media. After completing the BMI Composing for the Screen Workshop, Bijan packed his bags and headed to LA to assist composer Michael A. Levine. Since then, Bijan has composed additional music for the Freeform TV Series Siren, Warner Brothers’ Lego DC Superheroes: Brain Drain, and the virtual reality video game Resident Evil VII Biohazard. In 2017 he was selected as a fellow for the Sundance Institute Composers Lab. Bijan also remains active in writing music for the concert hall, having completed commissions by the Oak Tree Group for Streicher, Tasti et Bizarreries (Piano Quartet with toy piano and melodica) and the Contemporary Performance Collective of Los Angeles in 2015 for Four One Oh! (a piece for two harps). Away from the joys of music, Bijan enjoys cheering for the Boston Red Sox and fantasizing about becoming the next Jonathan Gold, through his Los Angeles food travels.